30+ best great and must read books one should consider reading in 2019. 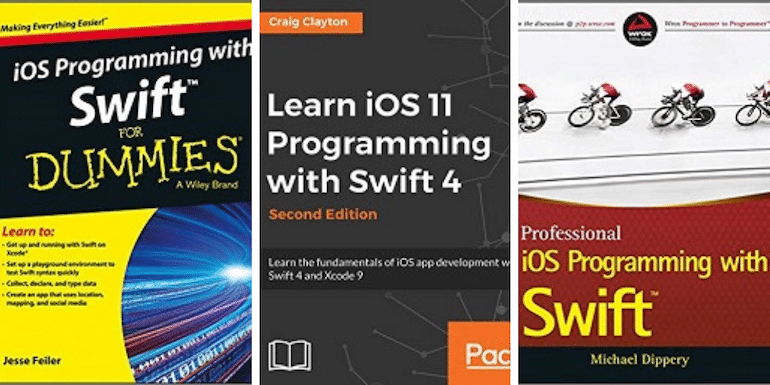 I am sure you won’t be able to put down once you start reading any of them. Too many books too little time. If you are looking to read some great books in 2019, this list will help. If not in 2019, each one of us must read them at least once in the lifetime. Some of these books I have read, some are in the pipeline and others are still lying in the Wishlist. Without much ado, let us start. 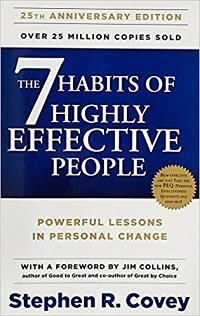 “The 7 Habits of Highly Effective People” talk about character and personality. Furthermore, the book explains the values of integrity, courage, justice and most importantly honesty. The author, Stephen R. Covey, discusses the seven most essential habits everyone must adapt. As it is said, habits make or break a man. The author tells you why you are not doing something the right way and what needs doing to correct it. Sometimes it’s not about what you do, but more about how you do. Now means present, the immediate moment. This moment goes away in a flick and becomes past. 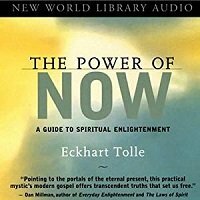 The Power of Now teaches you to skip the analytical mind, the false self-image created and the ego behind. The book talks about the state of inner peace, the silence within. For instance, you are writing something but thinking about a problem lingering your mind. Technically you are not present in the now. This way you are fueling the problem to be big enough by continually thinking about it and spoiling your precious time writing things which will lead you nowhere. The author teaches you to be fully present in the now and accept things as it is. Dr. Joseph Murphy teaches an easy pattern, a workable formula to train your subconscious mind. It can be anything between success, affirmations, removing fear, manifesting money or for radiant health. 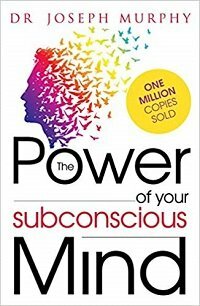 In short, The Power of Your Subconscious Mind explains great fundamental truths about the mind in a simple language. Let’s say you want to start a business, but worried about failure. Reading this book can help you out of confusion, overcome the fear of the unknown and at the same time guiding you to program your subconscious mind for success. The author recommends reading this book in good faith. It can be a life-changing experience. If you are fascinated with gaining control or defending yourself against your opponent, then this book will surely interest you. 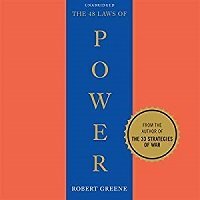 The 48 Laws of Power distills the history of power into a well-explicated list. The book scripts some allusive titles such as “Pose as a Friend, Work as a Spy,” “Get Others to Do the Work for You, But Always Take the Credit,” “Conceal Your Intentions,” etc. A gentle soul will find this book amoral and cunning. On the contrary, an individual whose moral compass is inclining towards power will enjoy this book. 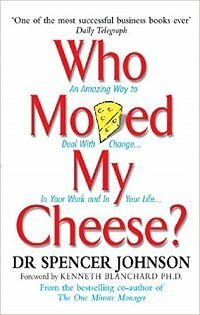 Who Moved My Cheese is an interesting story about four engaging characters looking for cheese in a maze. Cheese here is a metaphor of what we want in our life. It could be a better job, a healthy relationship, money, own house or even the smallest task that needs to be done. The Maze is the place where we keep looking for things we want in life. These places are the company you work in, the society you live or the relationship you have in your life. The most exciting part is – the cheese keeps moving. So, the whole idea of cheese moving is focusing on how you deal with situations in life. In other words, the author is recommending to keep moving with your cheese. The Road Less Travelled has three parts. Each section discusses a different aspect of life. The first section talks about the importance of discipline. The second part of the book discusses the nature of love, saying it is the driving force of spiritual growth. And the third part is about grace. Henceforth, all the three are essential to sustain a balanced life and work. Now, we all know how important discipline and consistency is while writing a blog. 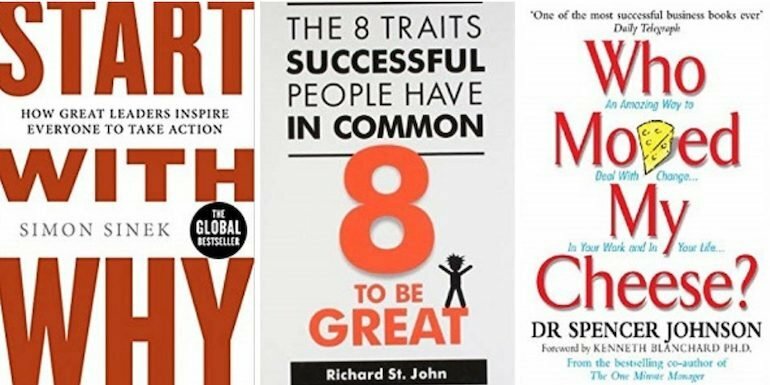 Ten years of research and 500 interviews with successful people across the globe, Richard St. John brings you a jewel – 8 To Be Great. 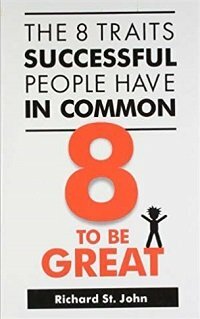 This book integrates the essence of qualities highly successful people have in common. What makes this book different from other books is the presentation style. It’s fun and enjoyable. If you want to have success, then you need to practice these eight traits in your personal as well as professional life. 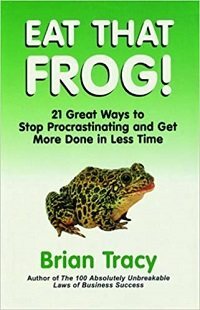 Eat that Frog by Brian Tracy teaches you to develop the discipline to do the most prominent, hardest, and most important task first. Without thinking much about it. This habit is well-adopted among successful entrepreneurs, bloggers, writers, and marketers. They intend to accomplish great things in less time. One step forward, the author does this in a 21 practical step formula. This way one step at a time will help you stop procrastinating and take action immediately. Another jewel in our list from legendary leadership guru, Robin Sharma. 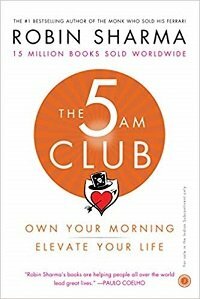 The 5 AM Club concept was introduced back before 20 years ago. The book is based on a revolutionary morning routine to maximize productivity all day long. It is the four years hard work of the author. You will read the benefits of early rising habits and significant results accomplished with it. Robin Sharma tells you how successful people start their morning to produce excellent results. I would say this book will help one who is snoozing his/her alarms often. According to Simon Sinek people who ask Why instead of How or What are those who transform lives with their work for a long time. Furthermore, he explains some of the most successful people like Steve Jobs focused on Why anyone would engage with them. For example, why anyone would buy iPhone? 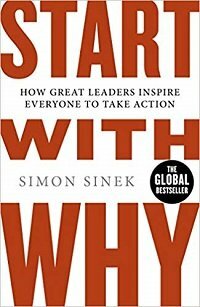 Start with Why is one the most powerful and influential book by equally impactful and motivational speaker Simon Sinek. However, this subject of the author is the third watched TED talk of all time. 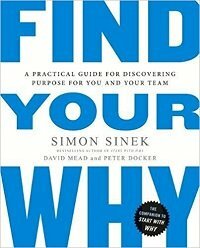 Find Your Why by Simon Sinek is a practical guide to find out professional as well as personal why. The book answers every query of the reader to find their why and what to do if it doesn’t work. Immaterial of which position you on, this book helps everyone starting from the entry level to the CEO of the company to achieve success. Find your why is not a fictional work by Simon but it’s more of a movement to experience and sustain long term success in a competitive world. 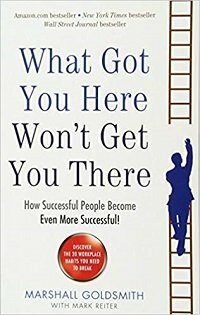 What Got You Here Won’t Get You There: How Successful People Become Even More Successful! The book What Got You Here Won’t Get You There features workplace habits to keep successful people from making the next big move. The author, Marshall Goldsmith, helps the reader identify those habits and teaches you how to override them so you can take the next step forward in your career. The critical point Marshall depicts is a string of success makes people adopt certain beliefs aren’t necessarily true. In other words, the problem with success is it manifests in the form of destructive habits at the workplace. 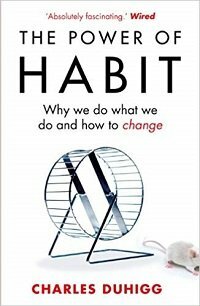 Furthermore, the author has listed those 20 habits to change for the better. 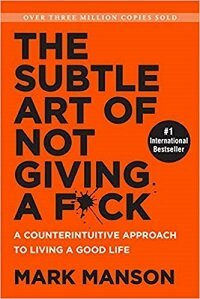 The subtle art of not giving a f*ck is another jewel in this list. Mark Manson takes you on a roller coaster ride with real-life examples of real-time people. The author explains how the desire for a more positive experience is itself a negative experience. And on the contrary, the acceptance of one’s negative experience is itself a positive experience. The book provides an entirely different point of view to lead a happy life. Don’t skip the beginning. How would it be like if you knew what it takes to become successful in your field? 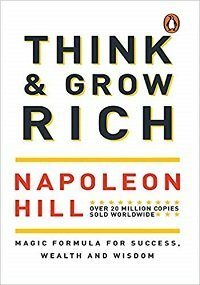 Napoleon Hill shares a secret success recipe in his book Think and Grow Rich. The idea Hill applies is quite simple. He has crafted 13 principles and taught you how to use them to achieve more in life. The laws pen down in this book will guide you ahead in your career and build long-lasting relationships. W. Chan Kim gives a strategy in the form of a book. The approach is to create uncontested marketplace instead of fighting over shrinking profit pool. Kim argues a steady success comes not by competing with the rivals but by creating less traveled markets. 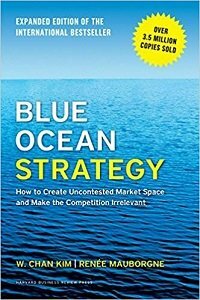 Surprisingly the author systematic approach to making the competition irrelevant and outlines principles and tools any organization can use to create and capture their blue oceans. Blue Ocean Strategy is an expanded version upgraded as per modern times with case studies and examples. 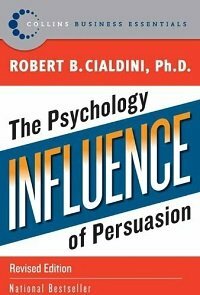 Influence, by Dr. Robert Cialdini, is his 35 years of rigorous, evidence-based research work resulted into a highly acclaimed book. The book explains the psychology of why people say “yes”. This book teaches you how to become a skilled persuader with the help of six universal principles. No matter what you do or where you belong to, this book will guide you toward intense personal change by acting as a dominant driving force towards success. It’s a must-read for everyone from every walk of life. 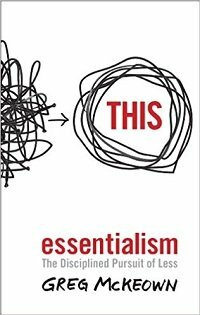 Essentialism is about doing the right thing (an absolute necessity) in the right way and at the right time. It is about prioritizing things and task based on their importance. In short, Greg Mckeown, the author provides valuable wisdom to do important things. So, if one wants to achieve desired results, then he/she has to properly channelize the energy, time and effort towards a specific goal. Not to mention a disciplined approach is adopted by highly successful people. The exciting part is all these theories can be applied by an ordinary human being too in his/her life. 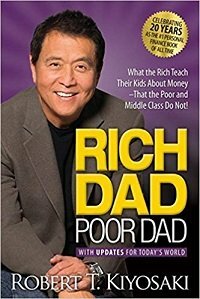 Rich Dad Poor Dad is an investment bible from Robert Kiyosaki. You will be amazed to find what you believed to be an asset is a significant liability. For example, your house. The idea is pretty simple. The book educates you and your future generation the value of investment, financial success and difference between asset and liability. The author offers an update on what we’ve seen over the past years related to money, investments and the global economy. 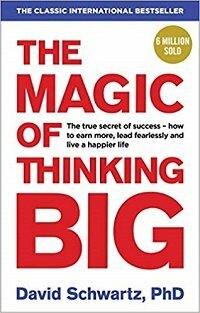 Success is determined not by the size of one’s brain, but by the size of one’s thinking – quoted in the book The Magic of Thinking Big by David J. Schwartz. There is magic in thinking big. If you believe to succeed, then you will definitely. The concept of this book is a bit similar to what Dr. Joseph Murphey’s book The Power of Your Subconscious Mind. An important question here is “if thinking big alone accomplishes everything then why doesn’t everybody think that way?” According to David, the thinking everyone does is little, not significant. 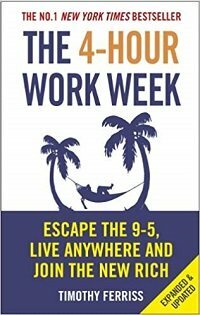 The 4-Hour Work Week by Timothy “Tim” Ferris trains you to escape the 9 to 5 job ritual and live a luxury life at the same time. 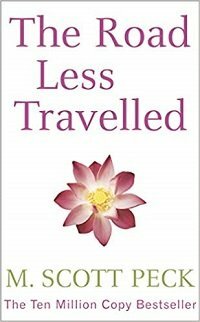 The book debunks the ancient concept of enjoying life post-retirement. It teaches you to balance work, earn 5 figure salary and still enjoy your time. Tim himself did this by transforming his 80 hour work week into 4 hours and making the same amount monthly what he earned yearly. 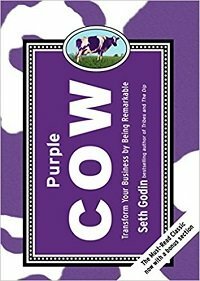 Through stories about companies like Apple and Starbucks, The Purple Cow author, Seth Godin has launched a quest to make remarkable products and spread the powerful idea among people. 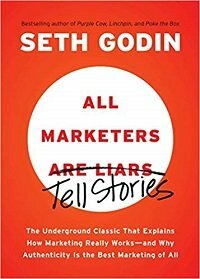 Seth Godin is among a handful of authors who lay a powerful impact on readers which last long. In the marathon of writing classic books one after the other Godin has taught writers, marketers, entrepreneurs, advertisers and business owners the art of marketing and creating a brand. Hal Elrod’s book The Miracle Morning explains how we as a human being are born with the desire and drive to grow and improve continuously. How one can fulfill their potential and achieve new levels of success. 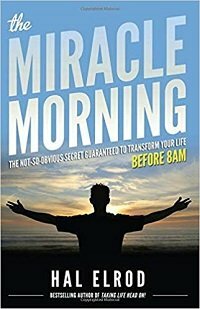 The book is about improving yourself by implementing the miracle morning rituals into practical life. It can be a game changer in taking your writing, blogging, marketing or even earning skills to the next level. I follow the early morning rituals while doing the freelancing work from home. Why is it some people try hard and take a long time to change their habits and some individuals tend to transform themselves overnight? The Power of Habits by Charles Duhigg has a research-based great explanation to this. The book explains how Michael Phelps developed the right habit and succeeded to become the greatest Olympic swimmer. Proper habits empower you. It can be anything like writing a blog post everyday, regular workout, being productive or losing weight. Read the book to reveal the secret inside the book about habit. Can we trust people to love us as we are? 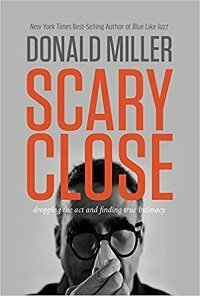 Scary Close by Professor Donald Miller is the summation of his encounters with failed relationships, personal drama, anxiety, love, manipulations and leading a meaningful life. Miller made an audacious attempt at 40 to be himself no matter what it cost. Further, he explains what happens when we stop acting and start loving in the real sense. 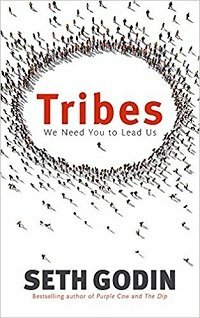 Tribes by Seth Godin is the book for those who want to lead instead of following others like sheeps. It describes how every one of us has the chance to bring like-minded people under one roof to do amazing things. There are tribes ready to connect, find meaning and are acceptable to life changes. The problem is they don’t have anyone to lead them. The word tribe means employees, customers, investors or readers, waiting for you to drive them by connecting. 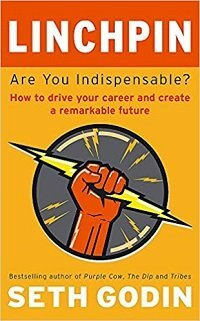 In his most powerful book yet, the author Seth Godin argues it’s most essential than ever to become a linchpin. Linchpins are the essential building blocks of great organizations: they invent, lead (regardless of title), connect others, make things happen, and create order out of chaos. How do you become the household name and capture the most significant market share? Positioning does for you. 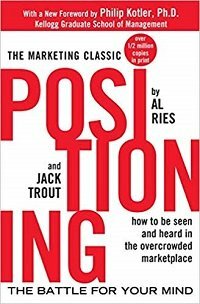 The authors and advertising gurus Al Ries and Jack Trout explain how to onboard a second product on an established one. Additionally, they also explain how to occupy an unclaimed niche. Ries and Trout provide many valuable case histories and penetrating analyses of some of the most phenomenal successes and failures in advertising history. The book is about knowing the psychology of a customer and how you can use the psychology to place your advertising and marketing message such that your potential customer doesn’t ignore it. 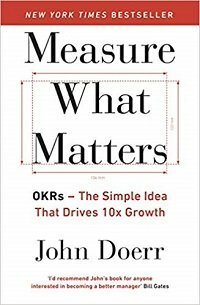 Measure What Matters by John Doerr depict what lead Intel, Google, Amazon, Uber, and many more to explosive growth. The book teaches you about using objectives and key results (Okrs) to make a tough decision from entry-level to CEO in business. Author John Doerr was the one who taught a proven approach to Google to achieve greatness. Read how larry page and bill gates have used Okrs to run their company with focus and agility. A question comes in a reader’s mind, and it is in the book too. 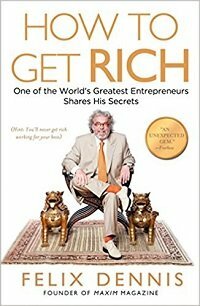 Why will Felix Dennis who is in the list of top rich people in the UK waste his time to teach others to get rich? The reason is simple; he wants to share getting rich lessons what the author learned the hard ways. How to Get Rich doesn’t sell products, tips or tricks. It helps you learn from the person who made it happen. Ray Edwards if not the best is one of the best copywriters for sure. 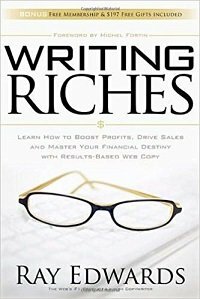 His PASTOR formula for writing great copy is one of my favorite and his book on writing riches is a must read.